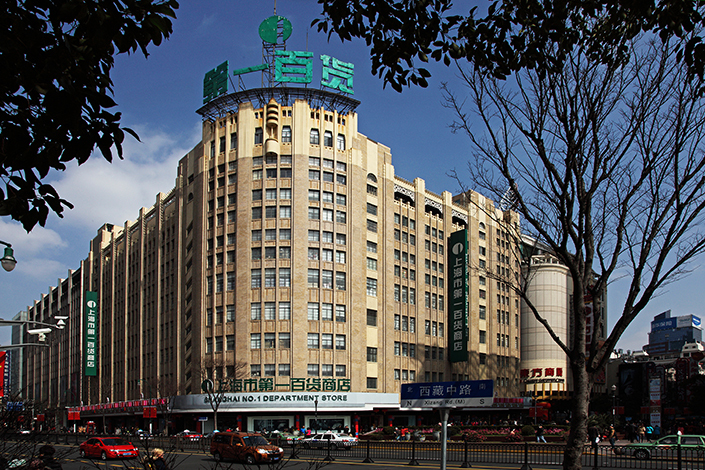 (Beijing) — A Shanghai landmark that was once the biggest department store in Asia is closing shop for a much-needed overhaul in hopes of breathing new life into a towering art deco structure that is fast losing relevance in China’s e-commerce landscape. The doors will officially close next week at the Shanghai No. 1 Department Store, whose name may seem bland to Westerners but is a household word that was the center of the retailing universe for many Chinese growing up in the 20th century. The eight-story building will be combined with an adjacent store from the same era and integrated with skywalks to form No. 1 Department Store Shopping Center on Nanjing Road East, once China’s equivalent of New York’s Fifth Avenue or London’s Oxford Street. “The new center is also designed for local white-collar workers to spend holidays with friends and tourists from abroad who want to taste the city’s traditional culture and atmosphere,” said Wang Xiaoyan, deputy general manager from store owner Bailian Group, when the project was first announced late last year. The project is part of a larger overhaul of the many properties owned by Bailian, one of Shanghai’s largest department store operators, as it struggles alongside other traditional retailers in a space increasingly overrun by China’s booming e-commerce sector. Other stores getting major face-lifts include the nearby Wing On Department Store, also on Nanjing Road. The total cost of the multiproperty overhaul will top 10 billion yuan ($1.47 billion), according to Bailian. The new No. 1 Department Store complex will retain its original art deco façade, but also boast a number of 21st-century touches, including a rooftop garden and international food market. Observers were divided on the project’s chances for success, saying much will depend on how the center positions itself in the minds of a new generation of consumers who have many choices when shopping. In particular, the new complex will have to find a way to appeal to a younger generation of consumers who rely increasingly on the internet for all their needs. Designers would be well-advised to follow a new format being popularized in the West known as “life department stores,” which contain a broad mix of products and targeting tourists and young people, said Zhou Yong, a professor at Shanghai Business School and director of the research team for retail information provider LinkShop. The landscape was far different when the store first opened in 1936, then known as the Sun Company. For years it was the height of fashion and modernity in an age when department stores were at the cutting edge of retail. One of the store’s biggest distinctions was its status as home to China’s first escalator at a time when Shanghai was the nation’s first city to import many such Western innovations. “When we were young we used to love to go there because they were the first place in Shanghai to have an escalator,” said Xu Shengyuan, 67, a longtime Shanghai resident who recalled looking forward to family trips to ride the moving staircase. “It was a source of pride for the people who worked there at that time,” he said, adding that he hasn’t been there for a visit for more than a decade now. The store also had the distinction of becoming the first to be officially nationalized and converted into a state-run entity in the post-1949 era when the newly ruling Communist Party rolled out a socialist economy. As part of that transformation, the store received its current title in keeping with a tradition that saw many stores, factories, schools and hospitals renamed with combinations of numbers and places. The company remained a leading retailer until the Reform Era dating back to the late 1970s, when global trends began to see big department stores lose market share to a newer generation of specialty retailers. The pressure has grown even more acute in China over the last five years, as many from the younger generation now do much of their shopping online using popular services run by e-commerce giants like Alibaba Group Holding Ltd. and JD.com Inc.
As a result of those pressures, Bailian reported its revenue fell 4% last year to 47 billion yuan, as profits tumbled by an even larger 29% to 900 million yuan. Bailian’s new overhaul is part of a broader strategy to turn around its traditional retailing empire. 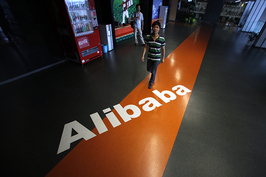 Earlier this year, the company also announced its own strategic tie-up with Alibaba to cooperate on supply chain technologies using the e-commerce giant’s big-data capabilities. 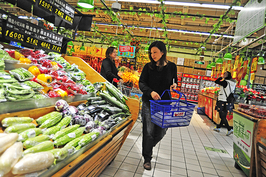 Managers will have their work cut out for them, needing to convince a younger generation of Shanghai residents to give the store a second look. One such resident, venture capitalist Lin Nanwei, has lived in Shanghai for much of the last five years without ever visiting the famous landmark. 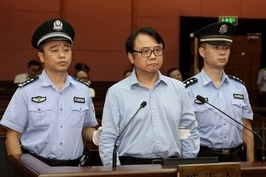 The older Xu said that whatever happens after the face-lift, the company’s status as a state-owned entity and local landmark make it unlikely that Shanghai No. 1 Department Store or any of Bailian’s other historic properties will close anytime soon, even if the face-lift is a flop. “It will be hard for them, but I think it will continue to stay in business because it’s so famous,” he said.